Comedian Russell Brand is known for his stand up comedy as well as his memorable roles in films like Forgetting Sarah Marshall and Get Him To The Greek. The popular actor is also known, however, for his outspoken position defying the stigma of addiction and speaking out for the need for programs that help recovering addicts find the help they need to find health, peace, and happiness. In the wake of the death of beloved actor Phillip Seymour Hoffman, Brand spoke out about the nature of addiction and the way in which celebrities are often stigmatized for their struggles with addiction, rather than viewed as individuals who are suffering from serious diseases. He expressed the opinion that “We are a culture that does not know how to treat its addicts,” and wondered, “Would Hoffman have died if this disease were not so enmeshed in stigma? If we weren’t invited to believe that people who suffer from addiction deserve to suffer? Would he have OD’d if drugs were regulated, controlled and professionally administered?” This opinion, which some may find incendiary, is reflective of the view of many that addiction is a disease that should be treated exactly the same way that any other life threatening disease is: with aggressive care and under the watch of a doctor who could pay close attention to the specific and urgent needs of an addict. The idea of regulating drug use and administration is somewhat controversial to many, but also somewhat reflects what is already the standard practice for many doctors of patients with addictions, who may prescribe a drug like methadone to help ease a heroin addict off of the opiate’s more dangerous form. It is not surprising that the actor is so publicly supportive of addiction issues. 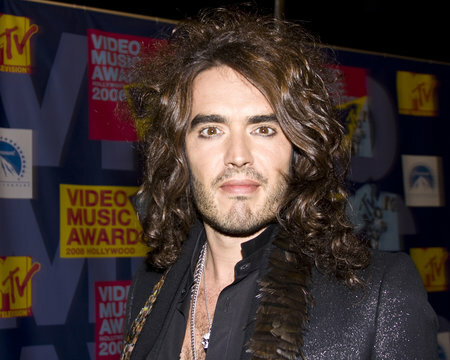 Brand has been very vocal about his own struggles with the disease and even made a documentary about his own struggle entitled Russell Brand: From Addiction to Recovery, which is a very personal look into the actor’s struggle to get sober. The documentary places and emphasis on the tough work required to find recovery. The documentary also offers another place for Brand to express his strong view that addiction is a serious disease that should not be stigmatized and that there is still much work to be done in the realm of public opinion to help change the way that addicts are viewed. Brand believes that changing the way addiction is viewed is a monumental step that must be taken in order to help encourage people to seek the help they need. One way in which addiction stigma can certainly be lessened seems to be the way in which celebrities with addiction issues are treated in the media. Often, public figures with addiction issues are mocked by the media or treated as though they are at fault for their addiction. This creates a dangerous culture in which the pubic perception remains that addiction is not a disease but a display of weakness or a lapse in judgement. This can be particularly dangerous for a number of reasons. It may have the effect of addicts themselves not feeling that they can or should get better or that if they are not able to stop using it is because it is their fault and not because they are sick. This attitude may also play a huge role in public policy, and cause the laws surrounding addiction to focus on punishing and reprimanding addicts rather than finding ways to prevent deaths.